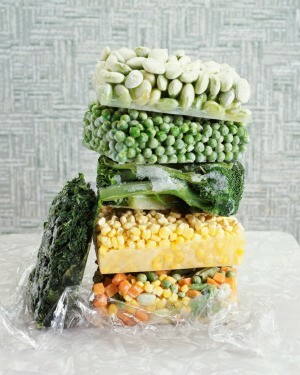 Vacuum sealing is a simple way of preserving food. If airborne bacteria can't get to the food, spoilage can be avoided. This is a guide about storing vacuum sealed food. My newest experiment has been vacuum sealing my food. As one who always loved to "put up" food in glass Mason jars and keep a stocked freezer, the thought of further food preservation intrigued me. Vacuum sealing is a simple way of preserving food. If airborne bacteria can't get to the food, the process of natural breakdown (spoilage) can be avoided. It's the way food is packaged for shipping, so why not try it at home? I'm still on the fence as to whether or not it is saving me money, but I certainly am having fun learning. Vacuum sealing is a process of food preservation which utilizes special canisters or plastic bags. Food is placed in the canister or bag which is then attached to a vacuum sealer which removes all the air from the container. This preserves the food for long periods of time. The bags can be opened and resealed (making them smaller each time), and they can be reused, frozen, boiled, and microwaved. Canisters are perpetually reusable, and they allow themselves to be opened and resealed throughout the day. How many times have you thrown away food because it went stale or was freezer burnt? It's a frustrating task, and although I enjoy buying in bulk I despise wasting food. I'm disappointed when I pull a roast from my freezer that looks like a chunk of ice. Vacuum storage eliminates this problem, allowing me to produce a beautifully colored roast from the freezer months beyond its normal expiration date. By packaging a head of lettuce, which is pricey in my area of the country during the winter, in a vacuum canister I can preserve it for more than two weeks. All the while it looks as green as the day I brought it home. I've even sealed leftover steak rolls in a canister and used them eight days later without noticing a difference in their freshness. Bulk purchases ask for vacuum sealing. After buying a large block of cheese at a discount price, I can cut it into four chunks, seal each one in a vacuum bag, and enjoy it for months. Freezer foods stay fresher, bulk packages of cereals and cookies don't go stale, and fresh fruits can last for over a week. Cost is a priority in our household, but so is avoiding waste. I'm not so upset if it costs a few more pennies as long as I don't waste food. However, I'm convinced that the initial investment in a vacuum sealer will pay off. The sealer systems aren't cheap, and neither are the bags and canisters. While the canisters are the priciest items, they earn their keep in that they're endlessly reusable. I haven't sat to do the math about the cost of the bags versus the savings on my meats and vegetables, but I don't think I'm going to do it. Like my canning, I enjoy this method of food preservation. My fridge looks full of fresh produce throughout the week and I'm throwing out very little if anything. Like all preservation methods, there is a cost. Canning requires pressure canners (more costly than the sealer system! ), cans, lids, and the energy to boil the water. Freezers also ask for enormous amounts of energy as well as the initial cost of the freezer. In the end is a vacuum sealer any different? You be the judge.